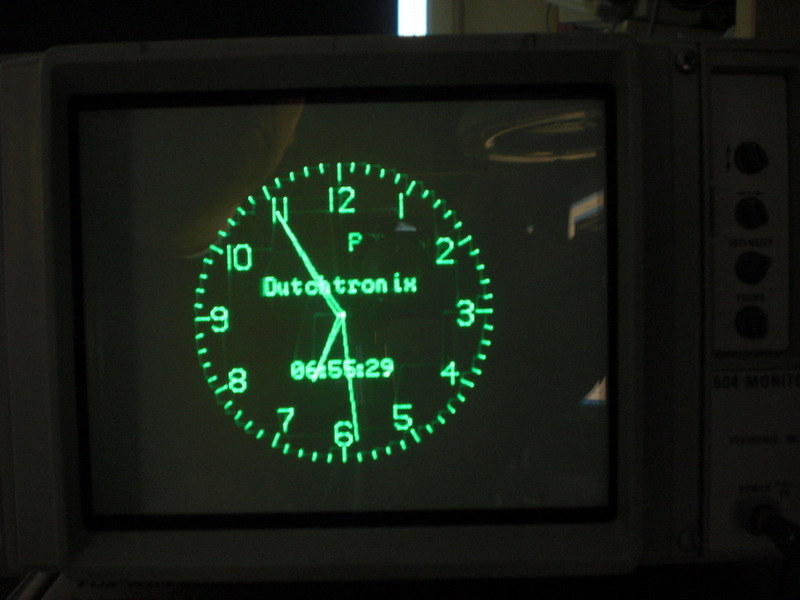 The Dutchtronix AVR Oscilloscope Clock is a kit that will display an analog clock on an oscilloscope in X-Y mode. 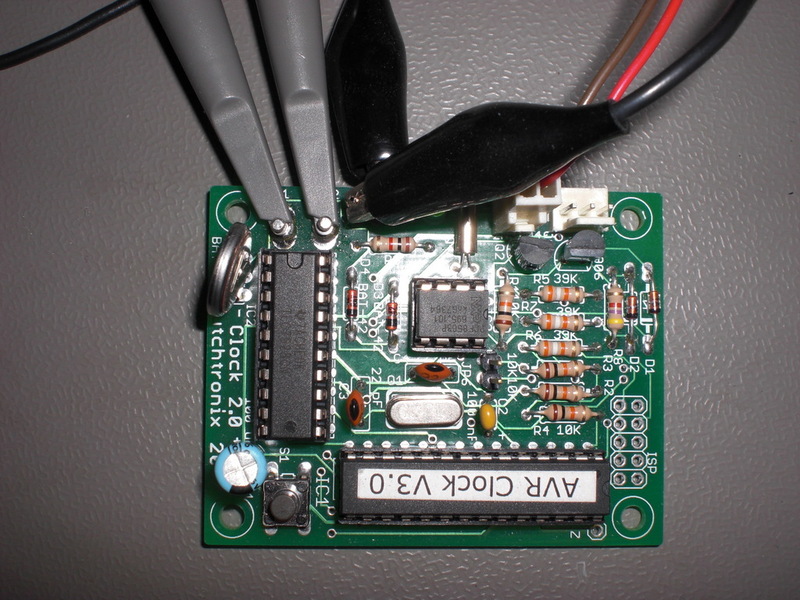 It uses a AVR microcontroller, a TLC7528 dual DA converter and a PCF8563 real time clock. This is the 2.0 board. The newer versions of the kits are sold by Sparkfun. 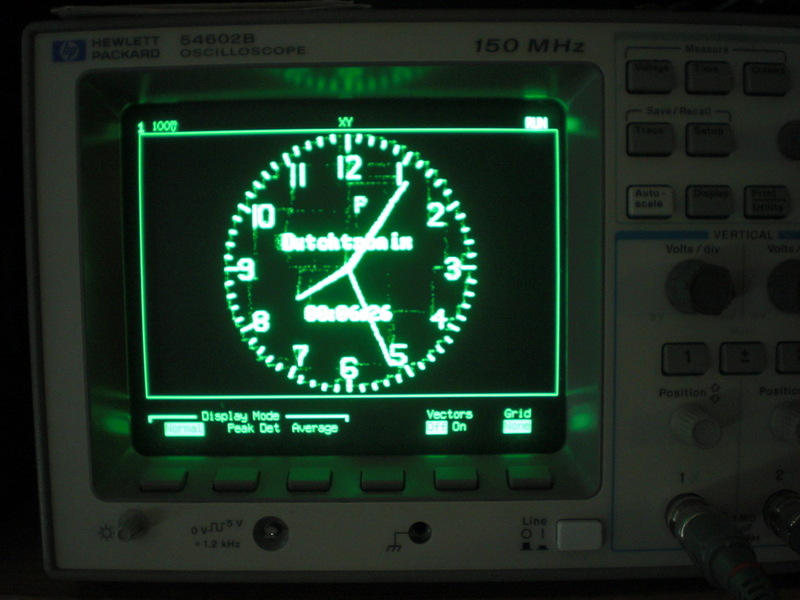 I have tried out the Scope Clock on a couple of different oscilloscopes. The Tek 604 Monitor is a X-Y monitor with intensity control on the Z input. 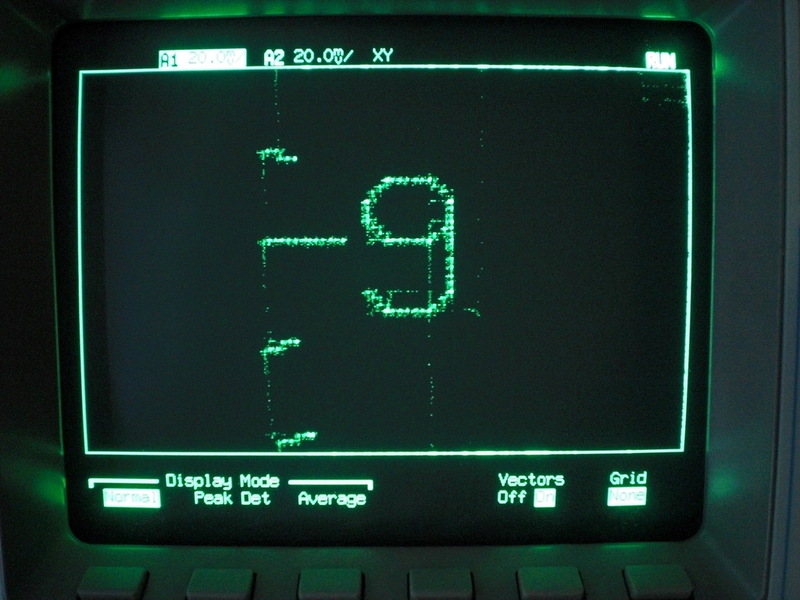 It has a flat and sharp screen. 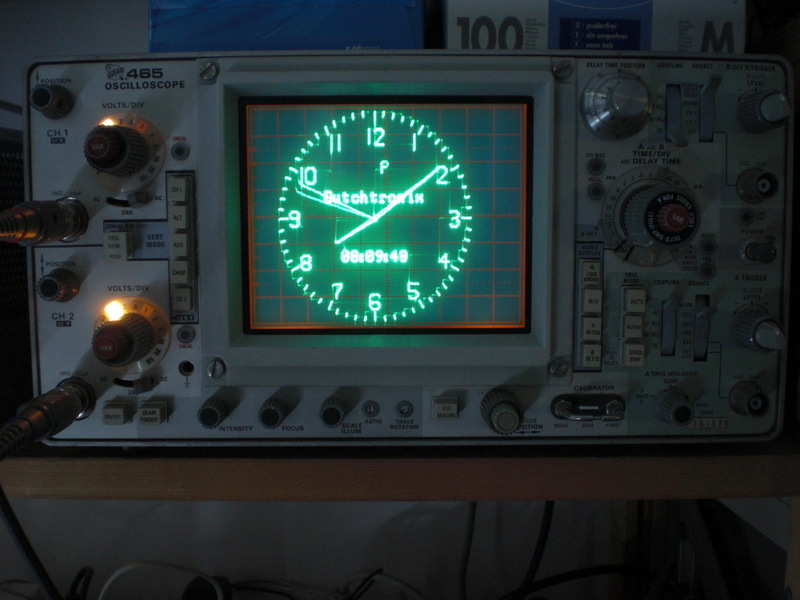 Funny thing about the 604 is that it has no fan and no power indicator and you will not display much if you don’t get the signals right. So when i first powered it up i thought it was broken. Like many Tek machines of this era it is well built and engineered. 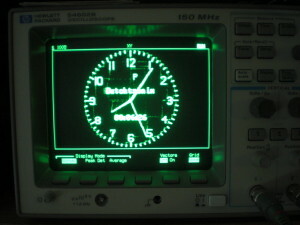 The Tektronix 465 is a single beam, dual channel 100 MHz Oscilloscope. Mine wat built around 1973. Everything on the 465 makes it clear this machine is from a different time. 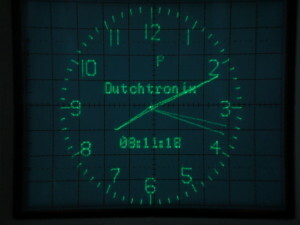 The controls are sturdy, the illumination are little light bulbs and not LEDs. 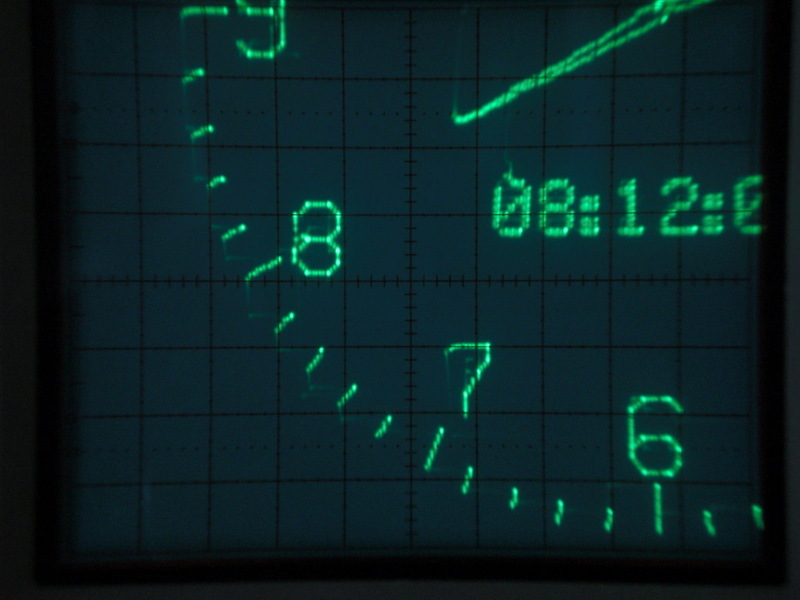 The scope is not just electronically complicated but also has many mechanical parts just to put the actual switches in the best spot in the signal path and put the control of the switch on a logical place on the front panel. The schematics are hand drawn. 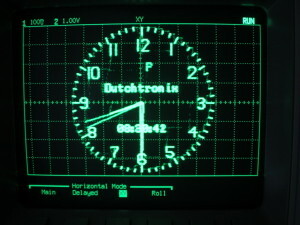 The X-Y mode is a position on the timebase. 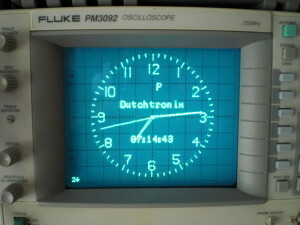 Scope Clock on a Tek 465, scale illumination and intensity turned up. 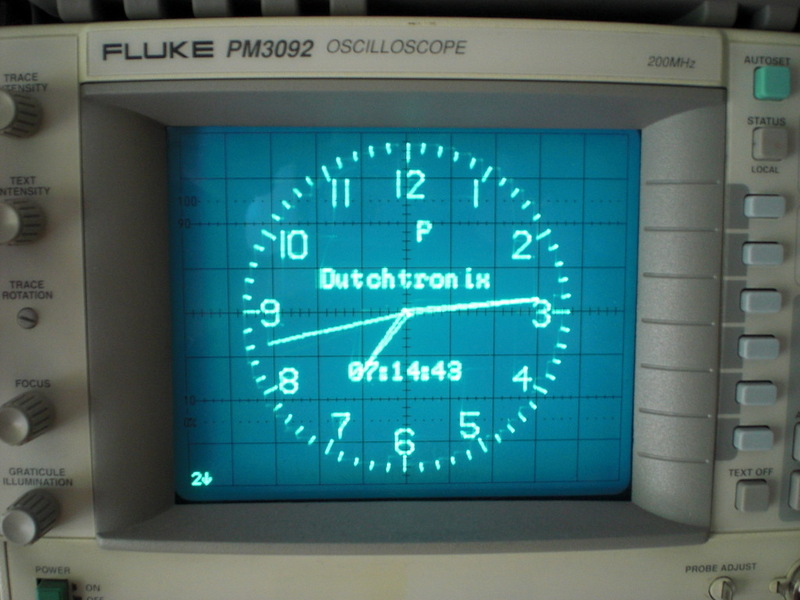 The Fluke PM3092 is a dual beam, 4 channel, 200 MHz analog scope with digital control. 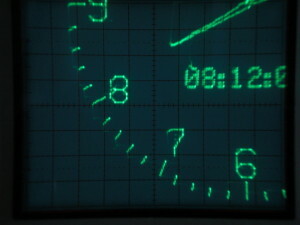 It has the disadvantages of an analog scope combined with the confusing controls of a modern scope. 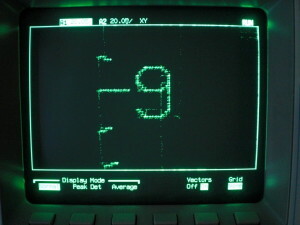 The Fluke and I are not good friends. 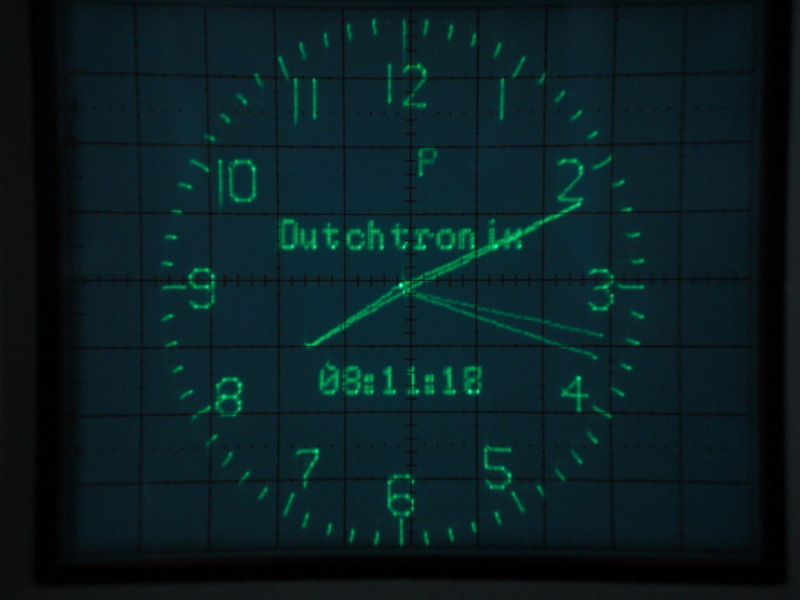 The X-Y mode is hidden in “TB-mode”, soft-menu “X-DEFL” off, channel 1 off. 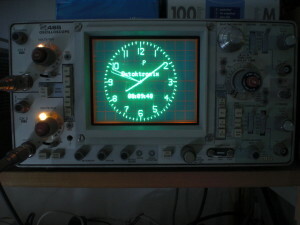 The HP 54602B and 54622D are digitising oscilloscopes, basically a computer with fast AD converters. 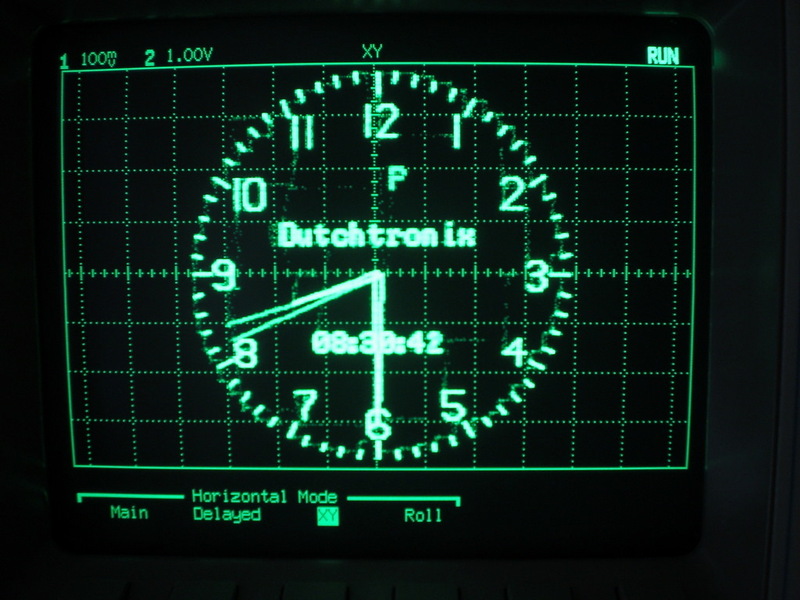 The display is a monochrome CRT. 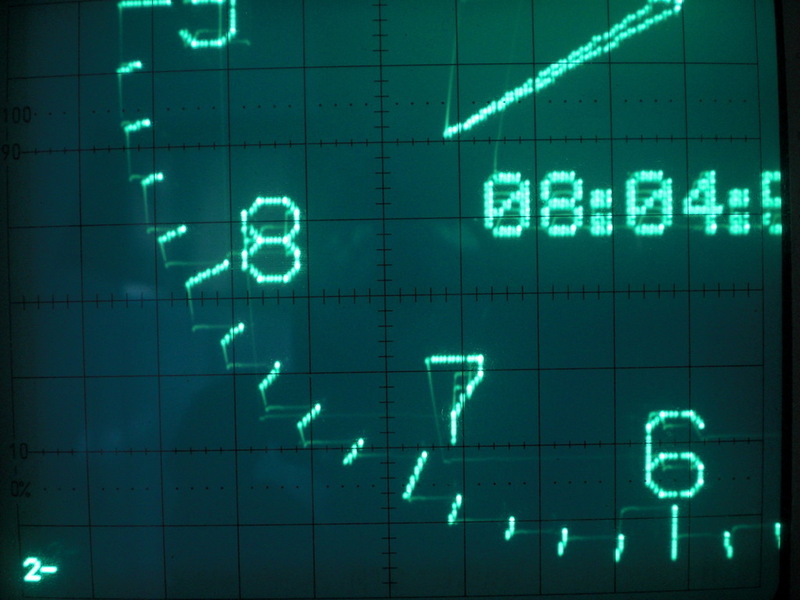 The controls are well designed and present an interface that is easy to understand for both traditional analog scope users and users more used to digital systems. These were built around 1996. The X-Y mode can be set by pressing “Main / Delayed” and then the softmenu “X-Y”.